Today I have the pleasure to Interview Super Joe Pardo. Super Joe Pardo is a New Jersey-based, sixth generation business owner who works with businesses and owners to help them grow by focusing on their team, offer and process. In 2014, Joe decided to leave his family’s $100 million business and pursue his dreams of starting his own business. Shortly after, Joe founded the award-winning show, “The Business Podcast featuring Super Joe Pardo”. His platform is based around helping business owners pursue the business and lifestyle of their dreams. 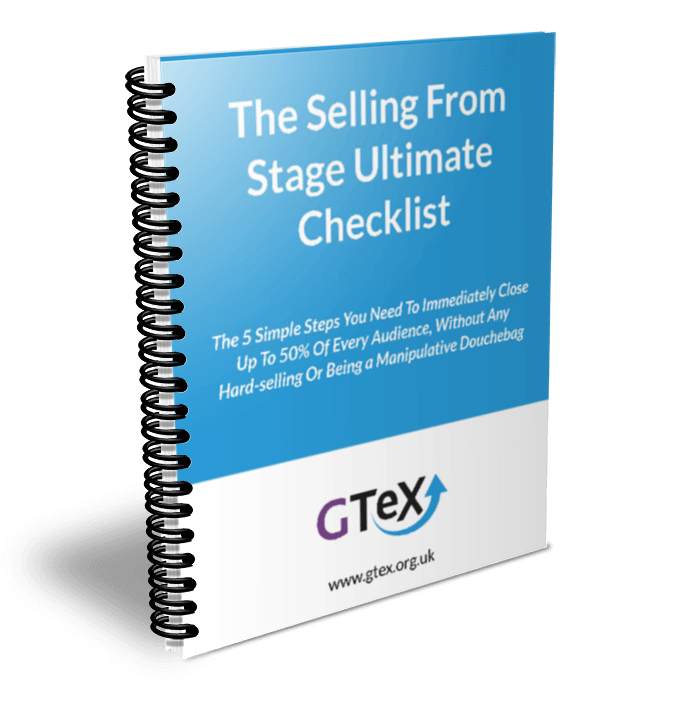 The Selling From Stage Ultimate Checklist – Learn how to close up to 50% of every audience. Sales Mastery – Triple your clients with a powerful sales conversation. eXplode Your Coaching Biz Membership – Join our inner community and get everything you need in one place to build your six figures coaching and speaking business. 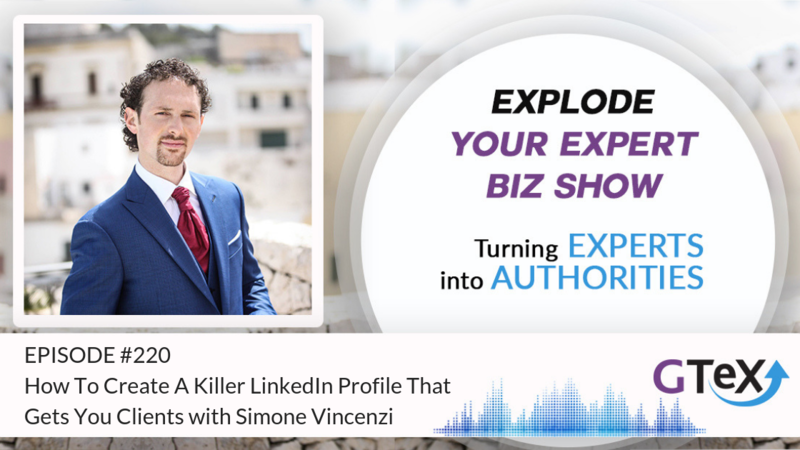 – Hello ladies and gentlemen, and welcome to another episode of Explode Your Expert Biz, the show. I’m here with the one and only super Joe Pardo! – What is up, super Simone? How are you doing? – I’m incredibly well, thank you very much. I was expecting you to come on the interview with your cape, because you’re Super Joe! – It’s at the drycleaner right now. – Is it? Ah, that’s what you do when you save the world, right? Of course it needs a good wash! – It’s got baby spit all over it right now. – That’s like, the behind the scenes in the life of a superhero. I remember when I was on your show, Joe, we ended up talking a lot about that your wife was another day with the kids, and my wife was doing that at the same time, so I remember our conversation, it was brilliant. Now I know you have released a book recently, which is called Sales Won’t Save Your Business. Which I looked at it, and I was like, “Oh, you know, everyone says if you need to make “more money, sell more.” And you’re there saying that sales won’t save your business. So we’re going to talk about what can save the business, then, if not sales. – Barely crying babies can. If you can hear all that in the background! – That’s the life of a dad. And before we do that, shall we just hear a bit more about you, how you got into helping other businesses to thrive? – So I grew up in a family business, the sixth generation entrepreneur, business owner. I grew up sweeping floors and working the warehouse, and I grew out through that into technology. When about four years before I decided to leave, I left in 2014, April 2nd was my last day at my family’s business. I started to get this idea that like, I wanted to do something else in my life. I just wasn’t sure what that was, and I wasn’t sure how that was gonna manifest. Well, a few years went by, and finally, about nine months before I decided to leave, I told my dad that I ended up going back to school because I didn’t have a degree, I didn’t have a job, I didn’t have a direction. I didn’t have anything but a bunch of experience at my own family’s business, which I was like, “That doesn’t look good on a resume!” I didn’t even know what kind of job I wanted anyways. So I did a bunch of networking events and I tried to figure out like, maybe I could go into sports, maybe I could do this or that. And I kinda found that I wasn’t really confident about any of those, so I just continued to go to school. Right as I’m getting ready to leave, I was coming out with my first DJ album, you can see on the camera my turntable is still behind me. You can actually see the album is back here. And I just loved the process of going through and doing that. I had been DJing for almost like, almost ten years at that point, and I just really loved the process. So I was like, how can I go about doing something for myself where I get to do this creative process all the time? About a month after I left, well, not even a month after I left. Two weeks after I left, I was on a plane to Disneyworld, came up with this idea for the Dreamers Podcast. When the plane landed, we registered the domain name, the Twitter handle, and the Facebook page. Within two weeks I had launched my first episode, and I still didn’t know what I wanted to do. Part of the Dreamers Podcast you can also see behind me, the original logo. It was that I wanted to help myself figure out what it was that I wanted to do with my life. I don’t know, but I knew a lot of people that were living their dream, so it just kinda steamrolled from there. From there, I took it into a business direction where I enjoyed writing books. I wrote three self-development books, which I have right here. They’re all very different in very different ways. – But they’re me, right? They speak to me and what I love and how I love to go about doing things. So from there, it went to the Dreamers Podcast, business lessons from those that live their dreams. Because I was having all these business people on, and we were talking about business, and that’s what gets me pumped up. And that’s really what I love, I can talk about business all day, every day! And then once I won the award, which you can kind of see behind my head right here, which is the 2017 Podcast Awards, the 12th annual Podcast Award for Business, I was like, you know what? It’s time I rebrand the show. And since you’ve been on the show, the show has changed to The Business Podcast, featuring Super Joe Pardo. It’s like, too long, didn’t read, still pretty long version of the story, but that’s how I got to where I’m at now, where I’m helping business owners and writing my first business book. I mean, the first book, the 31 Life-Changing Concepts, that was revered as a business book. But one of the things about doing the Business Podcast, I say it’s like where business and life meet, because business and life to me are very much a thing that are together. And once you realise that, you can start to, well, we say build your business for your lifestyle, not your lifestyle for your business. Because all too many business owners that I knew through growing up and working in the family business, and even after that, have built their lifestyle around their business, which is not very healthy. Businesses are 24/7. – It’s like trying to compete with a robot. – It’s impossible, and you see a lot of families that get like, destroyed just because of business. And a lot of friends that run huge successful businesses go into difficult divorces. I’m like, I don’t think I want that kind of life. – I was on that path, and that was one of the reasons that I decided to leave! You know, it was because I was getting super stressed out every single day of my life. Coming home and yelling every single day, not at my wife, but to my wife about how my day was going, and how I was mad at the world. – And I had to like, find those resets, which is to turn it around for me. And eventually, that’s when I was like, “I can’t do this anymore. “I need to do something for myself. “And I don’t know what that is, but I’ll figure it out.” And three and a half years later, and I’m pretty sure I’ve got it figured out at this point. – That’s brilliant. So one of the things that you figured out was that sales won’t save your business. That’s one of the things that you figured out. 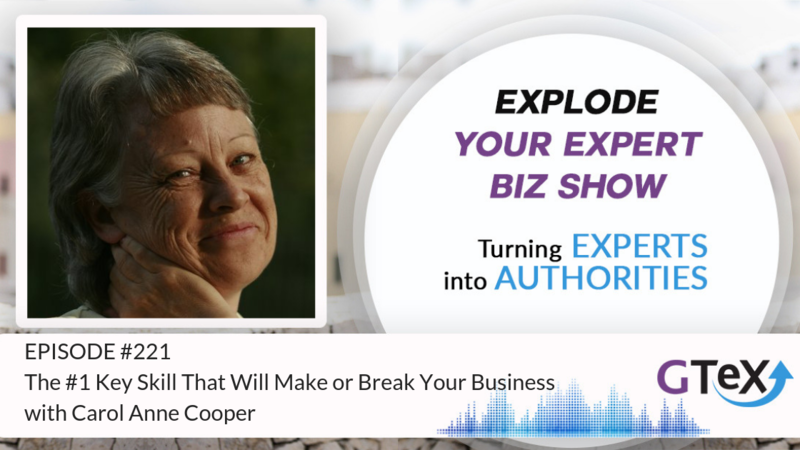 Why did you write that book, and why do you think that sales won’t save any business? Because I’ve seen a lot of people, they struggle with business, and the main advice that they’re given is to sell more, right? Lack of cash flow? Sell more! Is that what you’ve gotta do? -Well, okay, so one of the big things that I did when I was at my family’s business, one of the last big things I did, was I took our inventory. It was a giant debacle. I think I have a 30-minute video that I shot talking all about it, so I’m not gonna get into it, but basically we had way too much inventory and we needed to get to a little under half of what we already have on the shelves. And a lot of it was old. Through processes and through doing returns and relationship-building, we were able to do that in just under two years. So from $6,000,000 of inventory down to a little over two and a half, in just under two years. And that was through not fire-selling everything, just having the right inventory at the right place, at the right times. We had 10 locations that were selling the stuff, so we were just putting the pieces in the right places instead of just ordering more. Don’t get me wrong, when it comes to sales, it’s the lifeblood of a business. You don’t have a business if there is no sales, right? There’s no money coming in, there’s no revenue, and there’s no blood pumping through the system. But at the most base level, the way I understand it is that if you’re losing money on every sale you make, then you’re not actually making any money, and it’s not gonna save your business! You could have $10,000,000 in sales instead of a million. If you’re still losing money on every sale, it’s not gonna turn around. – Actually, you’re sort of wasting and losing even more money! – If you’re in a business, the more money you’re losing at this point! – Yes, yes! But people only think of it like, “I’m doing blah blah blah amount of sales!” But if you’re not making money on that, if it’s costing you more money between your processes and between your team and between your offer, maybe your offer needs to be adjusted, so that it’s not costing you as much, but the experience is still there. Or maybe the experience isn’t there, and you need to plus up that experience to a right level of an offer that’s worth it to the people that you’re trying to sell to, right? – And you know, when it comes to your team, I talk a lot in the book about empowerment and empowerment in process, and enabling people to go through those processes that you create for them, so that they can feel empowered, right? And also, not micromanaging, because there’s a lot to be said for managers getting stepped on by business owners along the way. And it’s like, “Oh, I said to do it this way!” And then they’re reprimanding them in front of the people who are supposed to be carrying it out, the employees or the team members. And now all of a sudden, they’re not respecting the manager. – Yeah. So you’re mentioning three things to do instead of selling in your business, and in your book, right? So you have teams, you have processes, and you have, what’s the other one? – Offer, and that’s the top. T-O-P! Team, Offer, Process. – Team, Offer, Process, fantastic. Well I would love to start is, let’s start from this one. If you were to work with a business, you see someone comes to you and says, “Joe, I need help, please help me, Joe! “Put your cape on and help me! “Please make you get it drycleaned first.” And where would you start? Would you start from the offer, would you start from the team, or would you start from the process? What’s the first point that people need to analyse? – So when I work with my clients, it’s all about understanding their business from fit to finish, right? And that can take sometimes two sessions, just to get to that point. Like two hours for us to go through and be like, “Okay.” Because I need to understand too the ins and outs of their industry. I don’t know every industry. I come from a retail background, a wholesale background, a warehousing background. But with that said, we also did service in the service shops, so we did service-based things as well. You really have to dive in and check your ego at the door, saying, “I don’t know everything about “the restaurant industry,” is to take something. But I know as an experienced person myself what I have experienced. So being able to listen, right, that’s the number one thing that I have to be able to do as as consultant, is to listen to what their biggest gripes are, what their biggest complaints are, what’s the biggest problem. Because they might not be even realising what their biggest problem is. And one of the things that I do differently, at least from what I’ve been told by a lot of people is I actually go to the business and spend three days there. Because there’s the known knowns, the things that are bugging them that they know are bugging them. And then there’s things that are unknown unknowns, that they don’t even know that it’s bothering them until you’re there to see it and be like, “Oh, that’s the thing that’s actually causing the problem.” You think it’s your elbow, but it’s really your shoulder. You don’t know that because it’s the elbow that’s hurting, but it’s the shoulder that’s starting the pain, shooting down into the elbow. I don’t know if that made sense. – It makes sense, yeah! It made absolute sense. I remember for example, it was a few months ago, I was stuck one day, and I couldn’t really turn my neck, and I couldn’t even lie down, like it was that bad. And I’ve not been taking any drugs, I’m pretty healthy, I haven’t been taking any drugs for about six years, no drugs at all. Man, I was crying for some Paracetamol, Ibuprofen, whatever someone could give me so I could just lie down. And I went to the chiropractor, and my pain was here, and he said actually, the problem was down here. – In your shoulder blade? – In my shoulder blade. – I get that problem all the time. – And I was feeling the pain down my neck, but the problem was in my shoulder blades. So I get what you mean, because sometimes you can feel the pain somewhere, but the problem is somewhere else. And the way the body works is the way a business works. – Yeah, hey, life and business, they meet all the time. – Life and business, exactly! We talked about that. I wanted to ask you now, talking about the process, let’s start from processing. What do you think is crucial, of course, every business, every industry, what have you, they have different processes and different systems. But if you can give some golden rules about creating awesome processes for a business, what are your top golden rules for creating awesome processes? – So, the same as with consulting with my clients, you’ve gotta be able to listen. You’ve gotta be able to check your ego at the door. Just because you think something’s working doesn’t necessarily mean it is. And you know, as a business owner, one of the things that my grandfather taught me when I was little, and even my dad too, you need to know every aspect of the business. You still don’t have to be the most amazing accountant, but you have to have an idea of what your accountant is doing throughout the day. And if you don’t, that’s a problem. Because if you have to replace that person at some point, you have to be able to tell somebody else what it is that they’re doing. So in order to do the listening part, you have to do something that a lot of people hate to do, and the thing that a lot of people hate to do is, “Simone, I know you’ve been working with me “for two years, or three years, or five years. “I need you to write down everything that you do here. “Everything, and it’s not because I want to replace you, “it’s because I need to better understand “where the problems are.” Your job might be an accountant, but you’re actually going out to like, Sam’s Club, I don’t know if you have Sam’s Club over there, but you go out to Sam’s Club to buy all the office supplies, and you know, coffee supplies and all these other things, you’re doing all that. So that’s part of what I’m paying you to do, and that’s okay, you have to understand. And what we can find out is that if you’re doing these things that have nothing to do with what I’m paying you for, and this other person is doing this, maybe we need another person, a part time person who just goes and buys the stuff, or we need to order it on Amazon, or streamline that process. So now I just took three hours a week off of your table. Or maybe it’s three hours every two weeks, if that’s when you’re going out to the store. You start to see these types of things where it’s like, where are you losing time, and not spending my money effectively? Or even not my money, my client’s money, the customer’s money, right? Because they’re the ones investing in me, and in turn, in the whole business. To make sure the money is being spent in the right way so that they get the best experience. – It’s all about efficiency, making it more efficient. Making it in a way where you understand. I love what you said about knowing every aspect of your business. I’m a big believer in that. Even though there are a lot of people who actually say the opposite, you don’t need to know every aspect of your business because you are an entrepreneur, you should have the idea, and then have other people working for you and hiring, and you just have to hire. But ignorance is expensive. I believe ignorance is very expensive, because if I hire someone to my digital marketing, and they have no absolute clue about digital marketing, I am in for the biggest ripoff in the history of business! If I am in, and I want an accountant, and I know nothing about accounting, for example, my case. My last accountant ended up almost costing us almost £12,000, which is about $15,000 more in taxes that we shouldn’t have had to pay. Then we managed to hire a new accountant that restructured our accounting system. We negotiated with the HMRC, which is the tax body of the government, and we managed to save that money and actually paid the right amount of taxes. Just because one error was made upfront, but because I was ignorant, and I didn’t know what I didn’t know, then I left everything to my accountant. 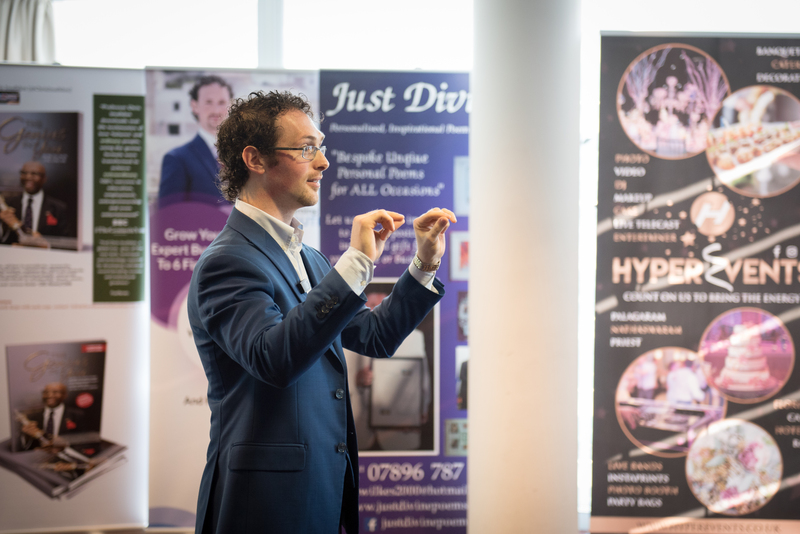 So I’m a big believer in what you said, and it’s a long and painful journey to get to know every aspect of your business, I’m sure you can agree with that. It’s no short route. – You need to be the best student you can be, and the best student on your team, right? So you need to question everything. And you know, getting three quotes helps, but that will not necessarily the headache that like, getting not even necessarily the cheapest, but the middle end one, or even the highest end one, it could still end up being a bad deal. You just don’t know it until you’re in it. – And you can’t necessarily avoid that, but here’s how you can learn, right? By questioning everything, by learning from that process, instead of just being, like you said. Ignorance is expensive, it really, really is. Question everything along that path so you’re learning, so that going forward, you can make better decisions. Like this didn’t work out, I understand why it didn’t work out, at least to the best of my knowledge. Now I can go and take that next step with someone else. And ask these very specific questions, so I don’t get screwed again. – You don’t have to be like, okay, I’m an accountant! I went to school! No, I’m not expecting anyone to do that, but just question everything, and that’s how you’re gonna get those answers. – I remember my first time, my first ever accountant that I hired, I paid him I think about $2000 upfront, which is about £1500. And he flew to Brazil with my money! That was my first expensive lesson. – Then everybody was like, they worked years for this other accountant, and they just set up things in a way that was not tax-efficient. So when we’re running a small company, and we’re not turning over hundreds of thousands of pounds, that was fine, because you might pay £10 more or £10 less, or £20. You don’t notice that! But when it becomes like, £12,000, that’s a different story, right? Then you realise wow, this small mistake that I made at the beginning, that has ended up costing me tens of thousands later on. Now, I want to talk about teams, because we’ve covered processing. I want to cover about teams, and one of the biggest things is how do you keep… I actually have to find the question I have for you. It’s a very selfish question, because I’m expanding my team and hiring people at the moment, so we grew from two people to nine people now that are working with us. Yes, it’s been exciting, but I told you before coming on, I’m very stressed, Joe. I told you, I’m stressed. And the question for you, Joe, is how do you find the right people? How do you find the right people, because one thing is to keep the right people and keep them motivated, but first of all, you’ve got to find the right people. How do you find the right people, Joe? – You know, one of the most interesting things that I learned through, first off, through the process of growing up is that hiring friends sounds great, hiring family sounds great, but it isn’t always great. And from what I’ve seen, from other businesses, from my own family business, and even my own business now is that it’s not as much sunshine and roses and rainbows and unicorns as I would love for it to be. The thing is, it’s more important to find somebody who is aligned with what your goals are, and what the culture that you’re offering, or bringing to the table is, right? So one of the big things that I’ve learned through doing all these podcasts, one of the most important things I learned was asking a question about something that’s really important to you. Like the example that I give is, when’s the last time you made somebody smile? Tell me that story. So if that’s what’s important to you, and they have a great answer for that, maybe you can talk to this person for 40 hours a week. – I’m listening, give me a moment. – I’m listening! Keep talking, keep talking, I’m doing it. But I mean, it drives me up the wall. And like, I can’t tell you how long I’ve had to deal with that kind of stuff. To understand that first of all, multitasking is a myth. Anyone that tells you that multitasking isn’t a myth, they don’t know what they’re talking about. There’s a great book about it, it’s really short, I don’t read a lot of books, but I read this book, and I’m glad I did. It’s called Switchtasking. You’re only listening to every other word, you’re switching between. I’m looking at my phone and I’m listening to you, and I’m going back and forth, back and forth. And you’re going to drop words, and eventually you’re going to have to be refilled back in. So I think to me, empowering your team starts with empowering yourself. Being able to get really honest with yourself. And that’s one of the things that this book, Sales Won’t Save Your Business, there’s a lot of questions in it, right? There’s a lot of lines right for you. Because there are exercises at the end of each pin, I call them pins instead of chapters, it’s like a roadmap. The three questions start with yourself, what it should look like, what the ideal situation should be, and then a group exercise, where I want you to go back to your team and collectively come up with ideas on how to fix these types of things, you know, that we talk about in the book. So I think that it opens up those lines of communication, and what you may find if you cut through them is that you don’t actually communicate very well with the people that you’ve hired, and you’ve hired them for one reason or another. They’re the best accountant, well, great, but if you can’t talk to them, how are you going to be able to make it work? – Yes, absolutely, personal relationships are crucial. And that’s something I’ve personally been working on with all our team members. I’ve read this advice many times, and I don’t want to make that mistake. I don’t want to be that person. At least I can do my part. That’s what I can do. If I’m there for them, if I’m available, if I’m there to support them, and give them all the resources they need, then I’ve done my bit. Then it’s up to them to perform, and if they don’t perform, then okay, here’s the door. You can go home! Because I’m a big A player, I’m a basketball player, and I’ve finally made it in the professional UK Basketball League! – I have made it, it doesn’t matter that I’m smaller than Isaiah Thomas, but I made it! But I’m big in it, I’m super competitive, I’m a top performer, I’m just like, everywhere I go, I was a top performer. So I had to learn a lot of how to manage expectations, and how to find the right people, because not managing expectations, from day one, everyone is going to perform at the top from day one. That’s something that I would have loved, but hey, people gotta learn, right? – Yeah, I think a lot of them see an entrepreneur can be easily switched with unemployed. And as an entrepreneur, you gain some benefit. Here in the UK, we have benefits. Do you guys have benefits in the US, or no? – For entrepreneurs, I don’t know, I should look into that actually. – Here in the UK, we have also some benefits for entrepreneurs and for those that are starting out. It’s not something that I’ve always looked into, but it’s something I know we have. – Doesn’t hurt, and I think that it’s a positive way to spur innovation, right? Because if you don’t have that extra hump, just like student loans or anything like that. I agree with that, that’s how you’re gonna get more small businesses. – I think that’s a fair call to determine at that point, because you are an idiot. – Exactly, it’s like, okay, well you are already in a great position. In fact, I found that when you start the second business that you start after a very successful one that you had first, the second is much easier because you have the right people, you have the right connections, you’ve already networked, you’re already in the capital. All of these things that when you are starting out, you are building up yourself. And we started GDEX with 100 quid, £100, that’s all I had. That’s what we started with, and it took us a few years, and then we made the first six figures, and then the second six figures and going on. Now Joe, before we will part, because this has been an incredible interview, I absolutely love that it was like full, jam-packed with golden nuggets, or superhero nuggets. Tell us a bit more about what you have for our listeners and where can people get in touch with you and find you? – I’m gonna get it, I’m gonna get it! Thank you! – I promise to get that out there, my good friend. Our Castle’s doing that. In fact, I’m making my audiobook debut on this book. Because in the book, I was told that quoting myself was a little too conceited, so I wrote in, “Super Joe says” in the book. And I’ll be doing the Super Joe Says parts in the audiobook, so you’ll be hearing my voice coming through. – I’m looking forward to it, man. Looking forward to it. So let me know as soon as it’s available on Audible. I wanna get it. – It should be ready for March 2nd. – I’m in, I’m already clicking. My credit is gone for you. My credit is gone for your book in March. – March 2nd. And you can get all my stuff. Whether it’s social media, my blog posts, my podcasts, the Business Podcast, my business lesson videos, my talks, at SuperJoePardo.com, that’s P-A-R-D-O. But if you spell it with a T instead of a D, that’s okay, you’ll get to the same place anyway. Because that’s how we do it here, I don’t profess to know. But anyway, I make sure that you can spell my name wrong and you’ll still get there. So Simone, I see you every single day on Facebook, and you’re hosting an event, and it seems like every other day that you’re posting an ad for an event. It’s absolutely incredible, keep up the great work, man. – Thanks, we are running about 200 events a year. We’ve been running 200 events a year for the past three years. – Yeah, call it the consistency. Well, I mean, one of the things that I’ve learned from all of our guests in Yorkshire we came across, it’s that consistency is the number one thing you can have. A lot of people just switch too soon, and they don’t get into the flow, they don’t get known for one thing, and they don’t have a business process. 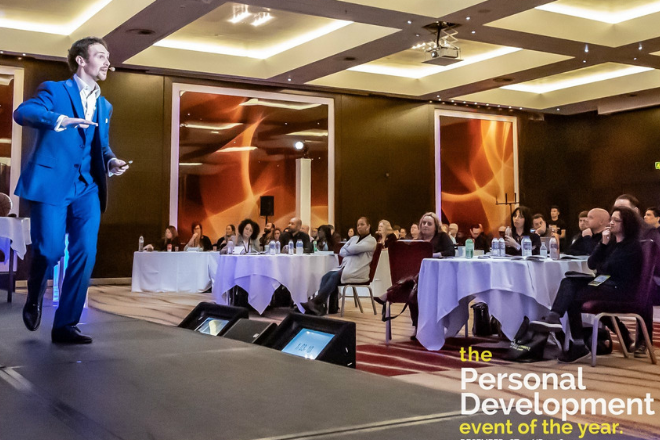 While I go to events, you go to your books, you go to your consulting, I go to my events, and we keep going and making this world a better place to be and other experts, better experts. And making businesses better businesses. So guys, make sure that you get to Joe’s book, because I’m sure it’s awesome. I haven’t even read it yet, but if you have listened to this interview, then you can understand, this is just like the tip of the iceberg of what you’re going to get to find in the book, so get the book right now. You can find the link of the book and the website as well in the show notes and on the website, so make sure that you click the show notes, and you get the book right now. Joe, thank you very much, Super Joe! 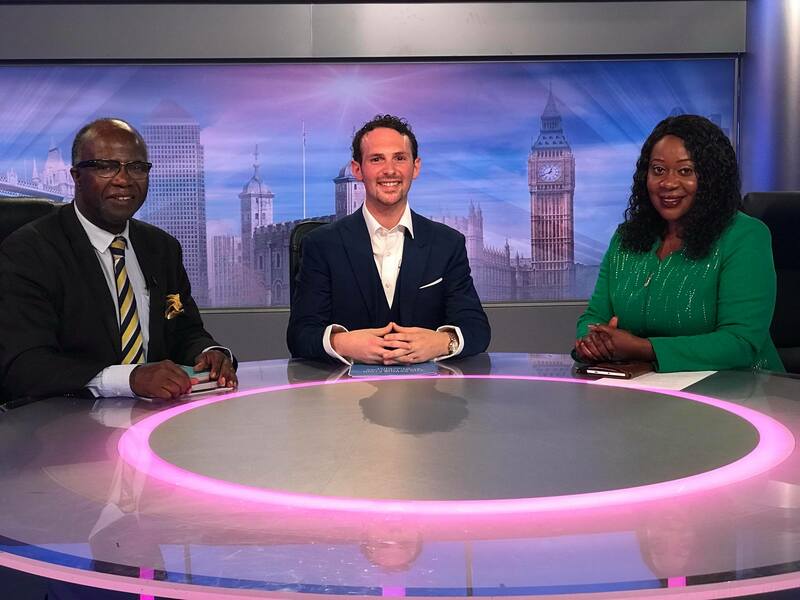 I keep calling you Joe, Super Joe, thank you very much for coming on our show. It’s been an absolute pleasure having you here. – Thank you Super Simone! Yes, Simone! – You got it, you got it. – If you put the link, send me the link, and I’ll add it to the show notes too. – Perfect, sounds like a plan. Thank you Joe, it’s been an absolute pleasure. – You too, thank you. – And the listeners, thank you very much for being on our show today, it’s been an absolute blast. 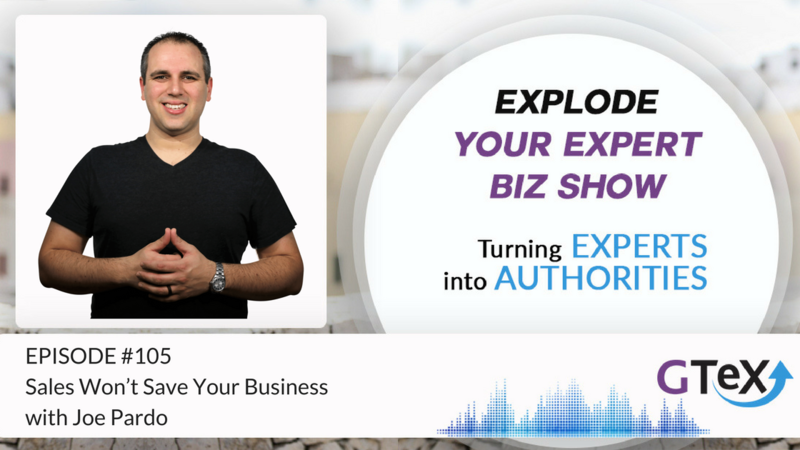 If you haven’t subscribed yet to Explode Your Expert Biz Show, make sure that you click that juicy subscribe button right now, I know it’s calling you. It’s calling you, yes, click, click! You see Joe clicked right now! And also, give us five star reviews, that will help us boost our ranking right here on iTunes or some of the different platforms that we use. And we want to know what is the biggest thing you got out from this interview with Joe Pardo. Thank you very much for listening from whatever platform you’re following us from. And I will see you in the next episode, and remember that together, we grow exponentially. See you next time, ciao!